Health insurance is a big problem for most Americans, as you are probably aware. Even Alabamans who have group health insurance admit that for at least half of them their monthly premium is a severe strain on the family finances, and fully 16% of all residents of Alabama don’t have any health insurance at all due, primarily, to cost. Obviously almost everyone here in Alabama is looking for ways to save money and get discount health insurance, and fortunately there are several things you can do, small changes you can make, that will help make health insurance more affordable. Let’s start with kids. If you have children who are 18 or under and you can’t find a health care plan that will accept them or which you can afford there may be a solution. The state of Alabama has a program called AL-Kids which provides health care to young children at low or no-cost. In addition to AL-Kids, Alabama has several other insurance programs that cover college students, pregnant women and more. For those people who do not qualify for any of the state-sponsored programs there are still several things you can do to lower your cost of health insurance. Obviously group health insurance is less costly than individual health insurance. 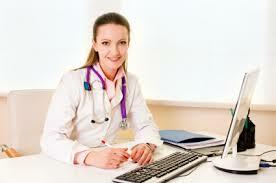 If your workplace does not offer group health insurance you still may have other alternatives. Check with any groups, clubs or organizations that you belong to – even church groups sometimes offer group health insurance. Talk to your friends about any groups, organizations or clubs they belong to which might offer group health insurance – there are a lot more of them around than you are probably aware of. If you have a home-based business check with a health insurance agent to see if you could qualify for group health insurance. Sometimes it is possible even if your only employee is your spouse. Don’t smoke or use any tobacco products. Smokers (and people who use chew) pay a lot more for health insurance than do non-tobacco users. If you are overweight you are also going to pay more for your health insurance. The good news is, even if you can lose just a little weight you can sometimes drop down a rung on the insurance company’s weight chart and if that happens you could save hundreds of dollars each year on your insurance costs. Don’t participate in dangerous or extreme sports or hobbies, and don’t drive a sporty, fast car. How much of a co-payment can you afford to make each time you visit your doctor? You’ll have to think about this and be honest with yourself, but if you can afford a 50% co-pay then you will pay considerably less for your health coverage every month. If you see your doctor on an infrequent basis this could be an excellent way for you to save money on your health insurance. Then there is your deductible. Again you have to consider this question carefully and you must be absolutely honest with yourself, but the more you can afford to pay each year out of your own pocket for your health care before you ask your insurance company to start kicking in, then the less you’ll pay each month in premiums. Now get online and find at least 3 websites that are designed to let you compare prices for health insurance in Alabama from different insurance companies. Be sure to enter the same information into the forms on at least 3 different websites so that your comparisons are valid and you can be sure that you are seeing prices from as many different companies as possible. When you’ve done that all you need to do is pick the best price and you’re done. 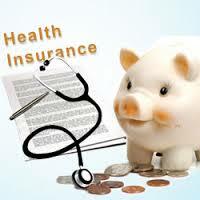 You’ve now done about all you can to save money and get discount health insurance in Alabama.